Cleveland-Cliffs Inc (NYSE:CLF) will announce its Q4 2017 & full year 2017 earnings results and conduct a conference call with analysts on January 25. The graph below summarizes our expectation for the upcoming results. 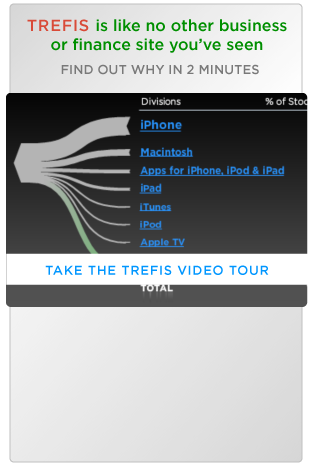 These have been created using our new interactive platform. 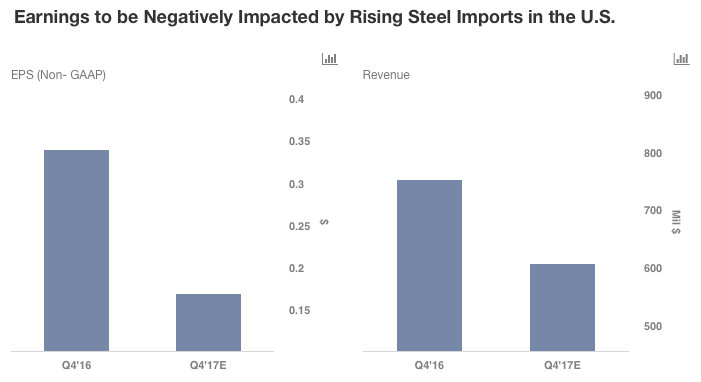 Lower shipment volume due to elevated steel imports in the U.S. is expected to negatively impact Cliffs’ Q4 earnings as depicted below. Cliffs’ full year 2017 sales estimate for its U.S. iron ore operation was lowered by 3% to 18.5 million tons by its management in its Q3 earnings release. This was largely due to a significant reduction in pallet nomination by their long term contract customer. This was a resultant impact of increased domestic import of steel in the U.S. economy. 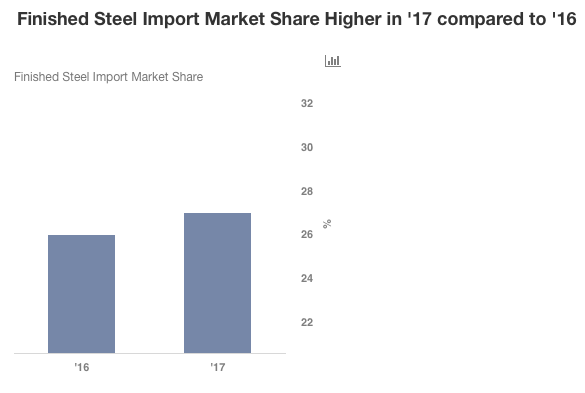 Iron ore is used as a raw material for steel production and an increase in domestic steel import impacts the domestic steel industry and their subsequent demand for domestically produced iron ore. Total steel imports in the U.S. were up by 15.5% in 2017 and accounted for 27% of the market share. Cliffs’ Asia Pacific (APAC) iron ore operations are also expected to display a further decline in its earnings this quarter. Cliff’s access to lower grade iron ore in its APAC mines has remained a disadvantage for the company in 2017. Due to strict regulatory requirements in the Chinese economy, steel producers in the country have increased their demand for iron ore with Fe content greater than 60% as steel production with high grade iron ore is more efficient and less pollutant to the environment. Price disparity between high grade and lower grade ore has widened by over 30% in the last quarter. Consequently, as a result of Cliffs access to lower grade ore in the APAC region, both shipment volume and average price realization for its iron ore are expected to decline in Q4. Pres. Trump’s pending decision on the recently submitted results of the section 232 investigations might render some relief to Cliffs’ in the upcoming year. We await to see how these developments take shape and the consequent impact of the same on Cliffs’ operations.